How’s your preparation for Valentine’s Day going? Are just as much behind as I am? 😅 Don’t worry I’ve got your back! 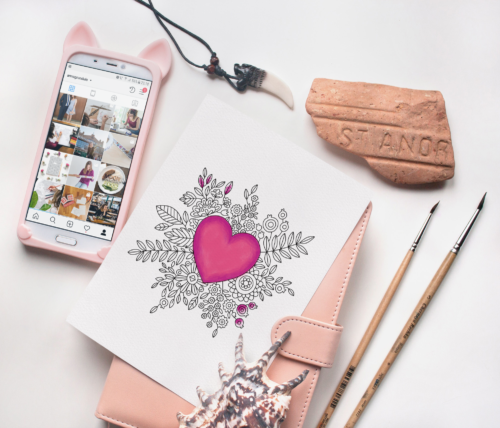 I’m here today to share two awesome things: A free coloring page for your last minute Valentines (YESSS!) + a quick tip that will hopefully make your gifting easier, forever. I’m talking make gifting easier even for the hardest-to-shop-for husband ever! Are you excited? Read on! 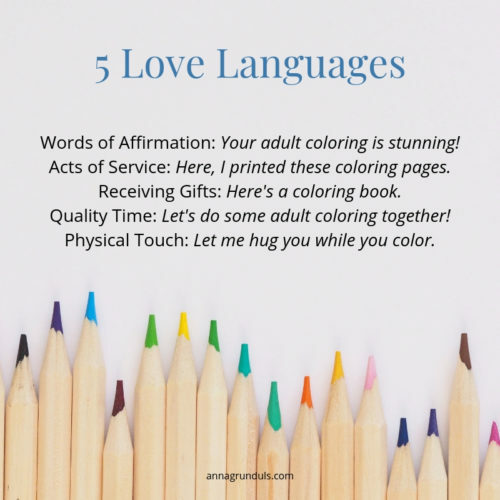 So what are these “5 love languages”? To put it simply, there are many ways we show each other love and appreciation. It’s not only by saying “I love you” directly to the other person’s face. We also show love by doing small things for the other person – like surprising someone with a small gift or by being there when the other person needs a helping hand… There’s really countless examples of this, but according to Gary Chapman all of these little acts of love can be sorted into 5 categories: Words of Affirmation, Gifts, Acts of Service, Quality Time and Physical Touch. Out of these 5, every person has their own primary love language. It is their own favorite way to receive or show love, the one that means the most to them. 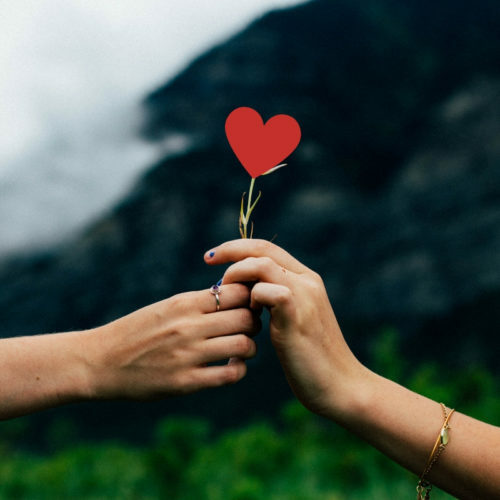 Discovering your loved one’s preferred love language can be very beneficial for your relationships – I mean, imagine knowing that something you do will definitely warm someone’s heart ❤ But ultimately it’s also a really great way to give better gifts! First, take this quick test to find out what is your own primary love language. I recommend doing this with your loved ones for a fun afternoon activity! The test only takes a few minutes for each person. Words of Affirmation – if this is your loved one’s primary love language, make sure to tell them how much they mean to you! Good gift ideas might be items with sayings like “best wife ever”, “killing it” – you know, stuff like that. 😉 Other ideas might be a love story book or a card with the perfect saying. 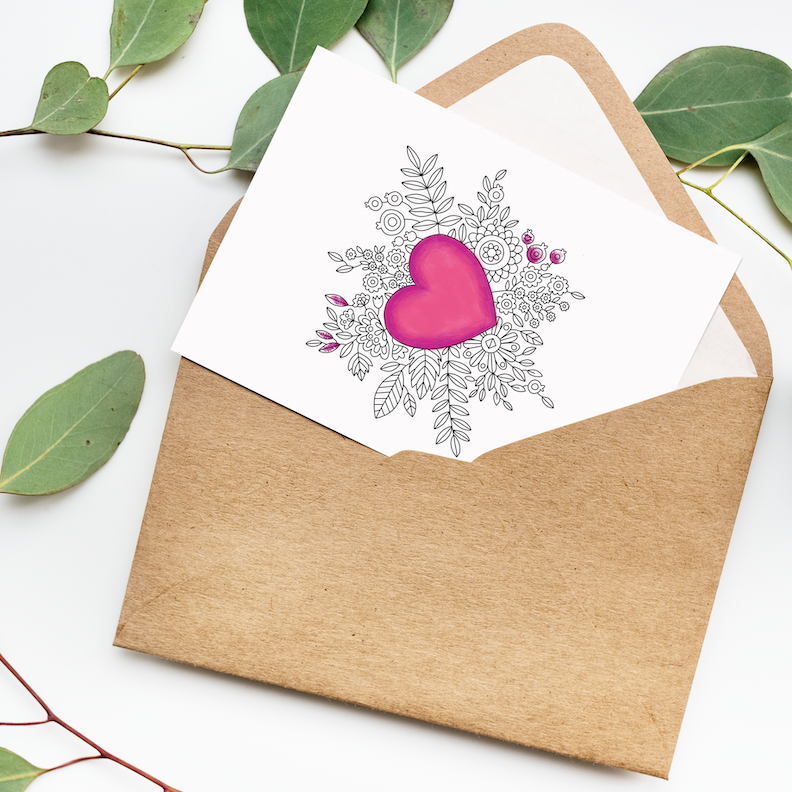 Gifts – think of ways to surprise your loved one. Maybe go for many small gifts rather than one very practical thing. You could make it a countdown to the big occasion with small surprises every day (like an Advent calendar!). Remember, the gift value is not as important as the act of gift giving. Acts of Service – Breakfast to bed is an obvious choice, but you can also DIY small vouchers for little extra things, that you’ll do throughout the year. Quality Time – This is a big one for me and my husband! I recommend fun games and activities you could do together. One of my favorite gifts ever was when we were dating and he bought me a plain wooden box that we then painted and decorated together for our keepsakes. Physical Touch – this one’s a little tricky to write about, but I recommend buying a voucher to things like dance classes, couple’s massage, spa. And for people that are not your significant other, consider games like Awkward Hugs from Hasbro. A quick note: To download this freebie, sign up to my email list, the “Happy Colorists Club” below. Even if you’re already a subscriber, make sure to enter your email in this form – your printable file will be sent automagically, directly to your inbox. And the best part? This is an instant download! Which means you can now purchase one of my illustrations and literally start coloring it right away, without having to wait weeks for you package to arrive in the mail ❤ I know this is HUGE and I can’t wait to show you all the fun things I prepared for the upcoming weeks! Check out the full bundle below and let me know what printable goodies would you like to see next! I'm the Owner and Illustrator of Anna Grunduls Design. 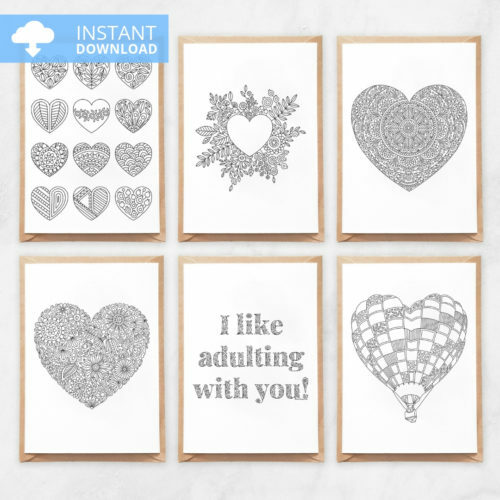 I design very intricate coloring pages and use them to create fun and practical stationery to color in. Click on the chat icon or comment below to get in touch!